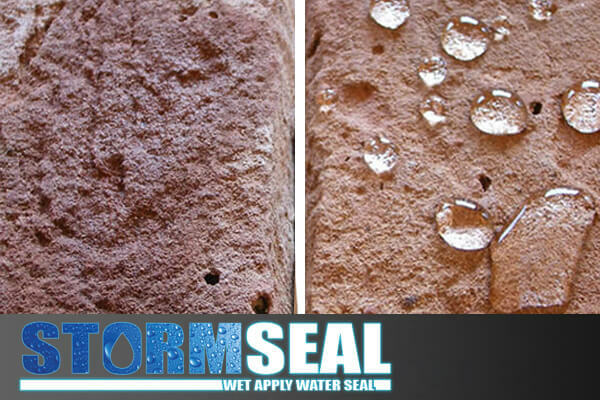 Unlike most masonry water repellents, Stormseal is the emergency water seal you CAN apply in wet weather. No more waiting for ideal dry conditions. 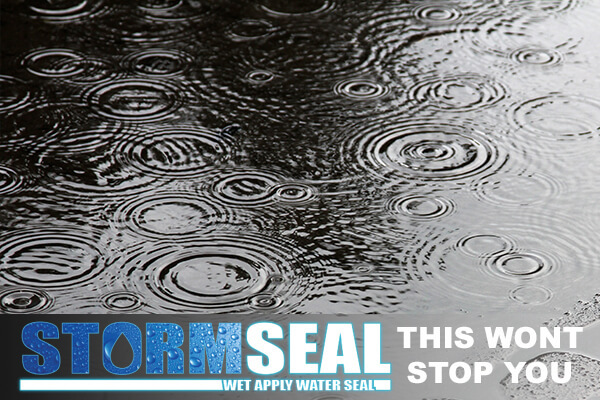 Stormseal's innovative formula quickly seals damp walls when you need it most, during prolonged wet and stormy weather. 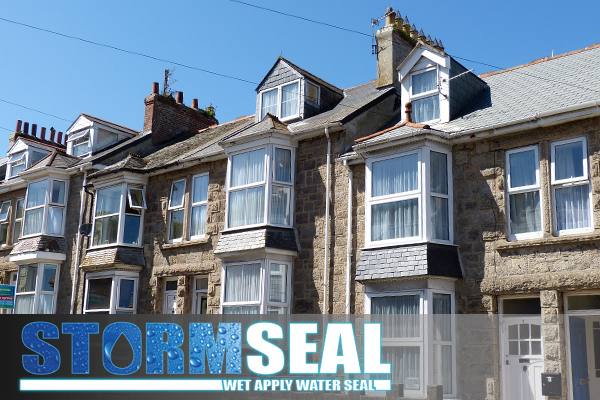 Stormseal is water-based so there is no reaction with damp masonry. Therefore, no risk of the white staining which afflicts solvent-based products. In the British climate, external walls are constantly being exposed to water from things like rainfall. If your external wall has cracks or pointing is letting water in, it is possible that this water can travel to your internal walls. Water ingress can also be a problem for very old walls or walls in poor condition. This means that it can be difficult for homeowners to keep their eternal walls dry and free of problems. That’s why we have developed this high-quality water seal paint. 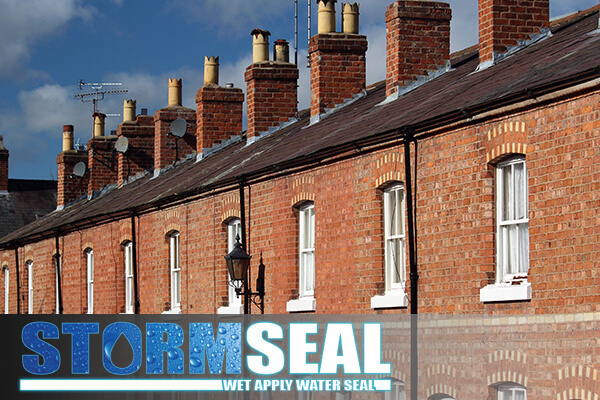 Water ingress is very common in most types of brickwork. This is because external surfaces contain a large amount of very small porous voids that draw in moisture. 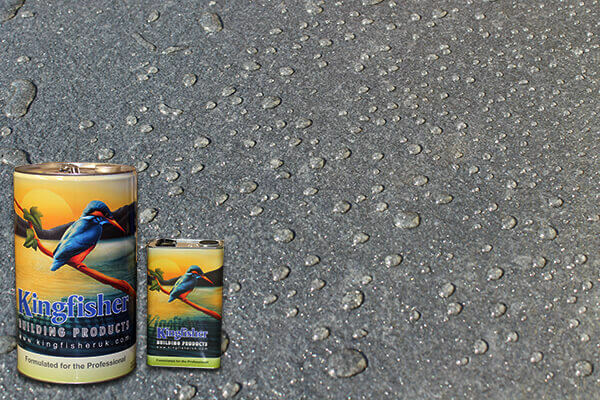 Our water seal paint will ensure your walls are dry at all times. Once applied and dry, water will bead or bounce off the sealed brickwork instead of being absorbed into the external surface. 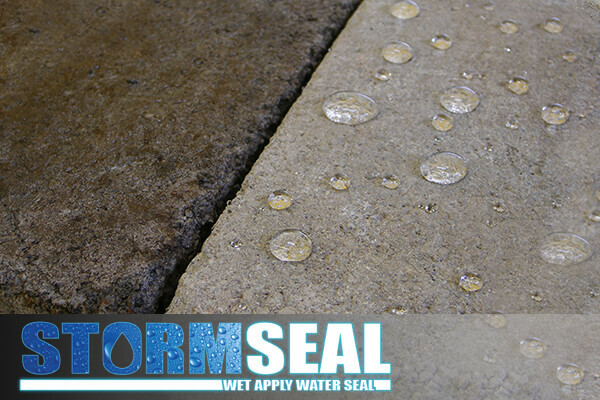 The Stormseal water seal is very easily applied, by either using a brush or roller. 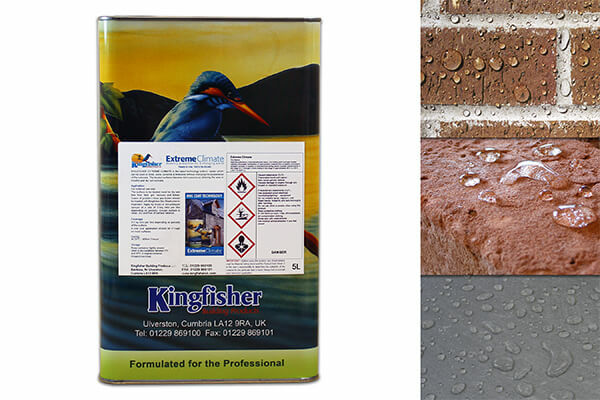 For more information regarding how this wet apply water seal paint can help you, don’t hesitate to contact us. This product is available to order online for delivery across the UK. Wish I'd found this earlier! 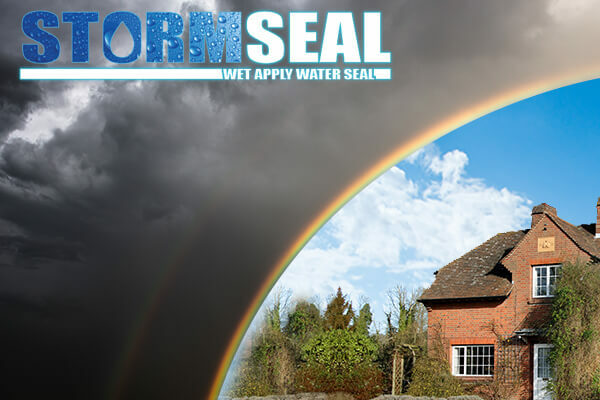 With the extreme weather we had in the early part of this year and December of last, I had a high number of customers who were suffering from water ingress. A few of these were down to penetrating damp along. As the walls were saturated we couldnt use solvent based repellents. With Storm Seals wet on wet application we were able to apply the treatment with quick results. On two properties we revisited within 48 hours, Water was beading on the surface. Wish Id found this product earlier! With regards to deliveries, My last order was extremely quick, same day. Due to the terrible weather we have had in cumbria, some houses were subjected to flooding and for those on higher ground like myself, it was driving penetrating damp that was the issue. After two coats of stormseal on my gable wall, applied during rain spells, the water began to bead on the surface and after a couple days, dampness stopped coming through the wall. Incredible product, does exactly what it says it would do.